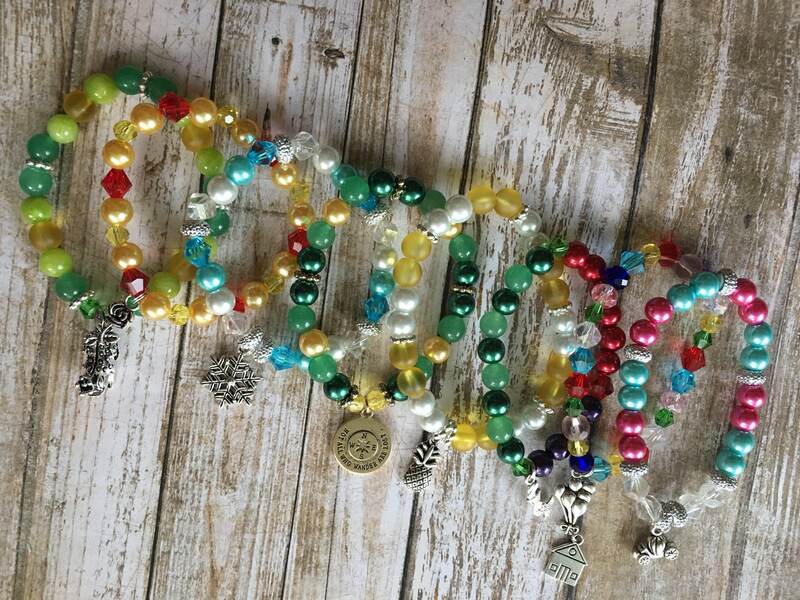 This listing is for a custom beaded stacker bracelet. Bracelets are elastic with several colorful beads. Can include a charm. I can make most any design, especially if you've seen that style or charm in other listings or on my Instagram / Facebook pages. If you're not sure, please send me a conversation here on Etsy and I'm happy to confirm! Otherwise, just leave your design choice in Notes to Seller. Please be sure to select your bracelet size! The bracelets are elastic, so they should fit over your hand with a gentle roll. For sizing, please measure your wrist where it feels comfortable. Please treat with care. Do not stretch your bracelet, but gently roll it over your hand. sheri is amazing!!! i absolutely adore this bracelet and got so many compliments! thank you! !